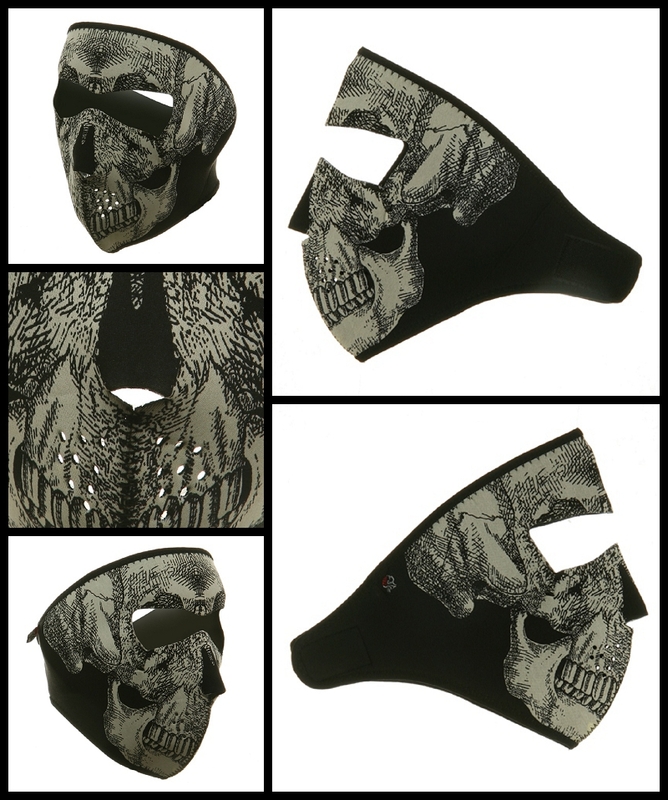 When you ride your motorcycle with this new 2012 glow in the dark skull head neoprene face mask people might say, “That bonehead is heading in the wrong direction!” Get it, bonehead…because it’s a skull. And it won’t matter how loud your motorcycle is, because you will never have a headache. The best part about this biker facemask is that people will know that you don’t have his head screwed on. This glow in the Dark Neoprene face mask features full coverage of the face and ears. Stretchy neoprene material is warm and water resistant. Patterns are reversible to solid black material. Velcro closure ensures great fit with goggles, with a helmet or without. One size fits most.